BT Group plc (BT.L) today announced its results for the fourth quarter and year to 31 March 2018. 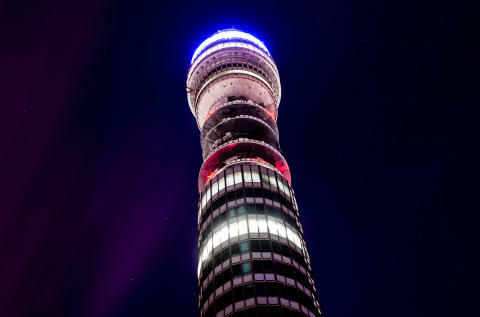 "BT delivered a solid set of financial results in the fourth quarter, with growth in our consumer divisions offset by declines in our enterprise businesses, due to both challenging market conditions and our decision to exit lower margin business. "We continue to invest for growth, having now passed 1.5m premises with our ultrafast network and securing 40MHz of 3.4GHz spectrum suitable for 5G mobile services. We are improving our customer experience across the Group, with our key metrics of Group NPS 1 and Right First Time2 both strongly up. "Our integration and restructuring activities remain on track. 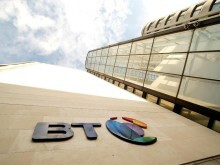 The integration of EE into BT is delivering run rate cost synergies of £290m. Our restructuring programme has removed over 2,800 roles and delivered savings of £180m during the year. "I am pleased that we have reached agreement with the Trustee on the pension valuation and recovery plan, which is affordable within our capital allocation framework, and draws a line under a key source of uncertainty for our stakeholders. "We have announced today an update to our strategy to accelerate leadership in converged connectivity and services. Our strategy will drive sustainable growth in value by focusing on delivering differentiated customer experiences, investing in integrated network leadership, and transforming our operating model." Reconciliations to the most directly comparable IFRS measures are in Additional Information on pages 45 to 48. Our commentary focuses on the trading results on an adjusted basis. Unless otherwise stated in the commentary, revenue, operating costs, earnings before interest, tax, depreciation and amortisation (EBITDA), operating profit, profit before tax, net finance expense, earnings per share (EPS) and normalised free cash flow are measured before specific items. Further information is provided in note 1 on page 45.